After some rather considerable postal shenanigans, the pledge pins arrived via FedEx so I could hand them out to all and sundry. 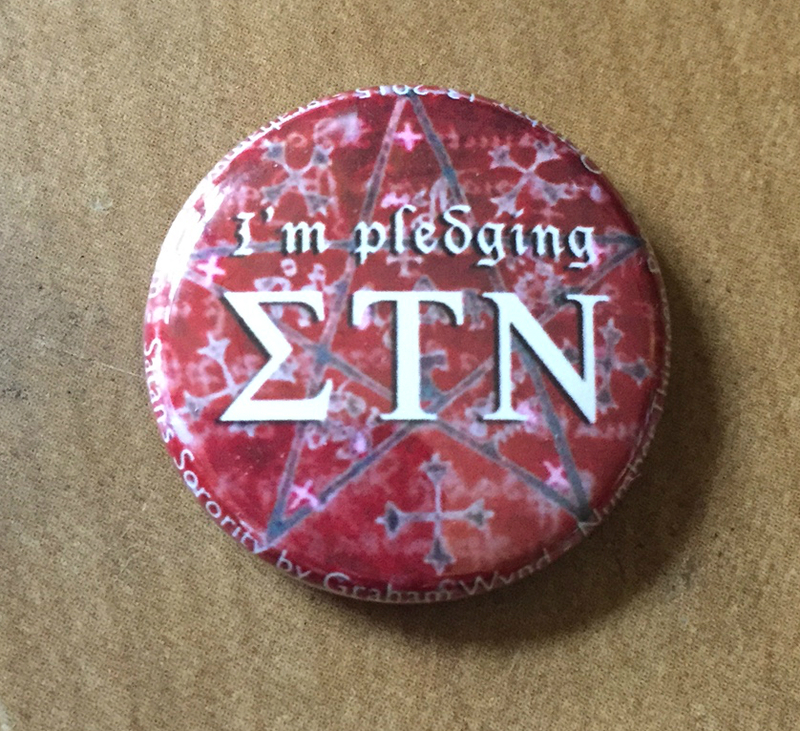 It was a hoot to see folks wearing ‘I’m pledging Sigma Tau Nu’ badges — even the gals at the Twisted Mango! 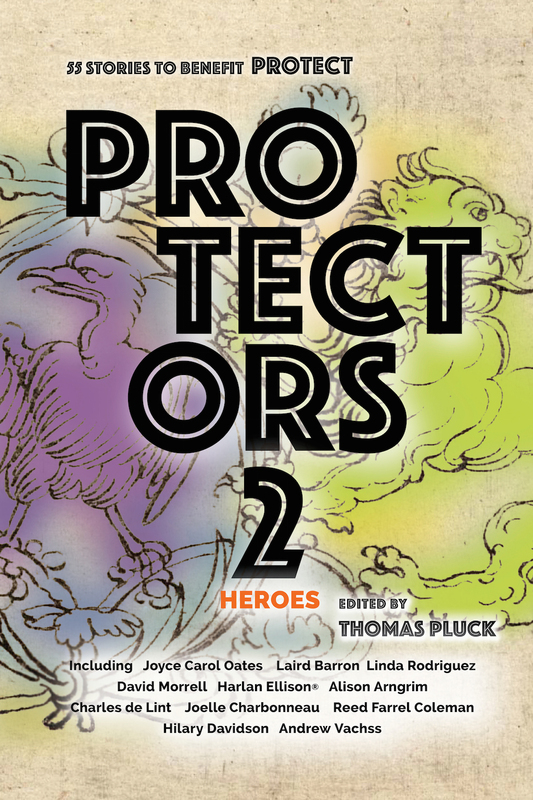 Thomas Pluck made sure that the word was out about Protectors 2: Heroes. Posters and flyers in the halls of the hotel and of course at Thursday night’s Noir at the Bar. Alas, that was the only time I got to see Patti Abbott and Dr Phil. Bouchercon was madness and I didn’t see half the people I thought I would but met lots of new folks too. The Murder Under the Oaks reading and signing was absolutely amazing. We each had three minutes to read. I made a quick intro and read a lively part from ‘Life Just Bounces’ and it seemed to go over well. Then we signed more books than I have ever signed in my life (so far!). No complaints from me about that. Maybe editor Art Taylor’s golden touch will anoint this book as well: he picked up an Anthony for best short story that night. Tomorrow: it’s out! Satan’s Sorority will be hitting the streets. You best watch out for those gals.